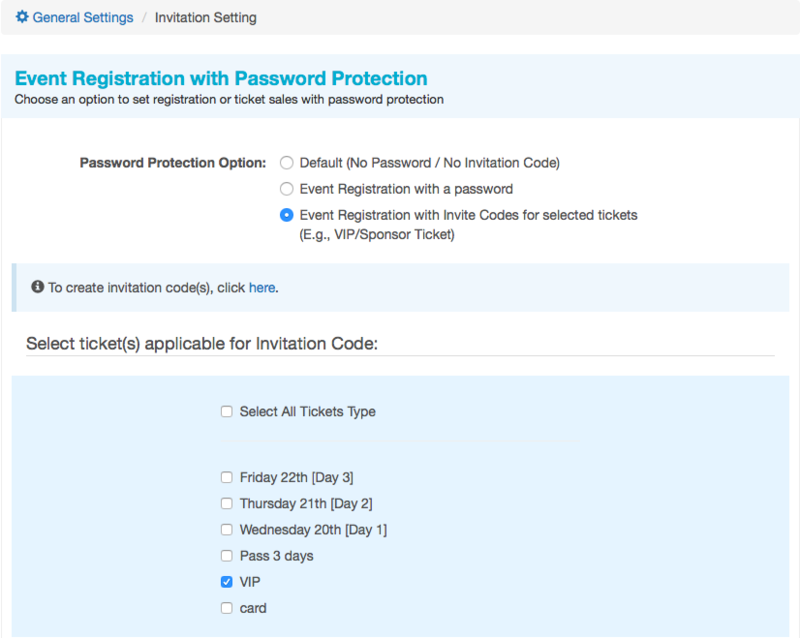 EventNook allows you to set access codes for your event registration and ticketing. First, click on "Edit Event" in your events dashboard. Click on settings on the top right hand corner of your screen. 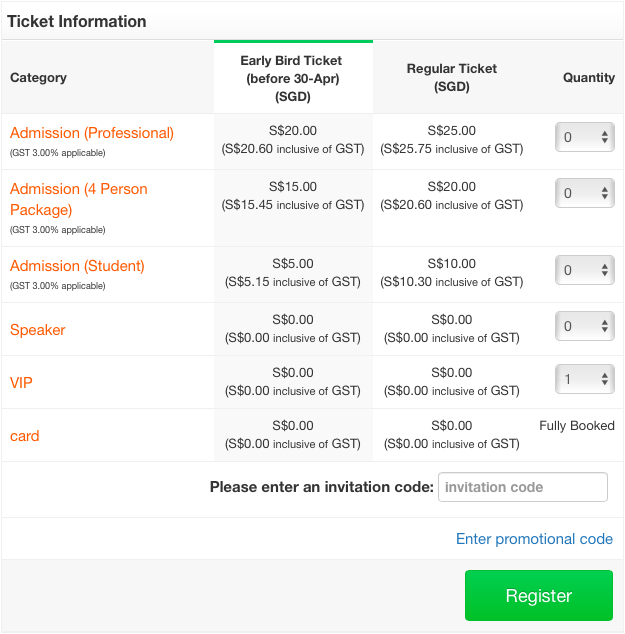 Locate the “Private Event Registration” box on this page and click on “Advanced Options”. 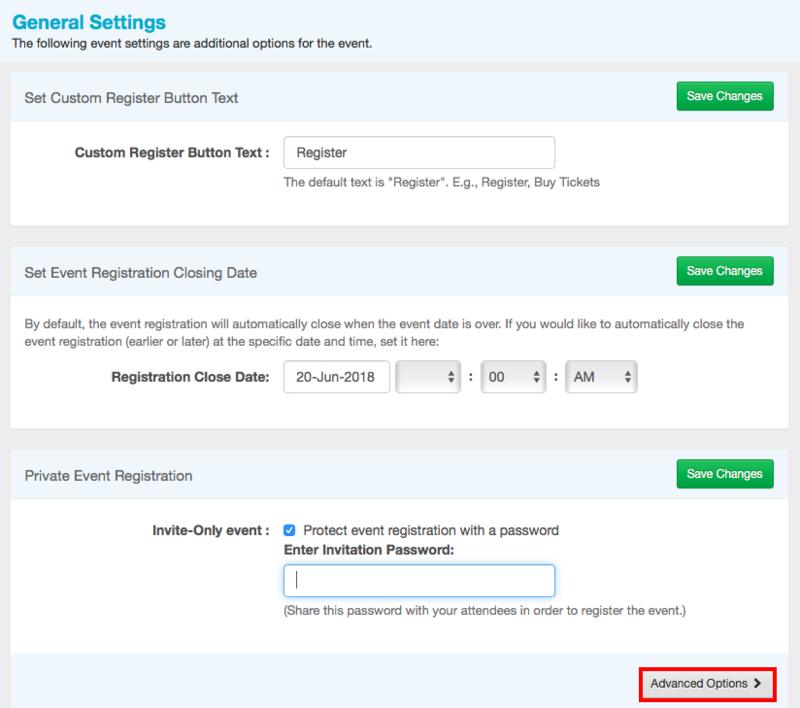 Select from 3 password protection options for your event registration.